There is no question that Texas is big and vast. In Texas you measure distance by hours rather than miles — a lesson I learned when I traveled on a hot school bus from the Rio Grande Valley to the Buffalo Trails Scout Ranch in the Davis Mountains in 1972. One of the most memorable parts of that long journey was stopping at Langtry to visit the Jersey Lilly, the place where the legendary Kentucky-born Judge Roy Bean dispensed justice in the late 1800’s. 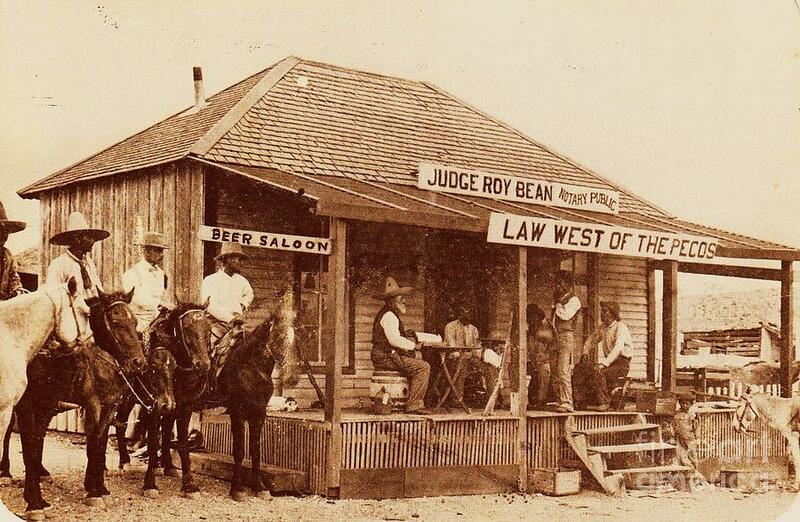 Roy Bean called himself the “Law West of the Pecos.” I first learned about Judge Roy Bean from my grandfather when I was a kid growing up in Mission, Texas. My grandfather was a real estate broker and served on the Mission City Council. One year he was recognized as the oldest city commissioner actively serving in the state of Texas. He also provided notary and translation services to folks in town. And, he loved Texas history. My grandfather leased a part of his office to a man named Leo Gonzalez, the local Justice of the Peace. Judge Gonzalez had an old painting of the Jersey Lilly hanging on the wall in his office above a sofa. The building in the painting had a sign prominently displayed above its entrance: Judge Roy Bean | Notary Public | Law West of the Pecos. That was my introduction to Judge Roy Bean. My grandfather shared amusing stories with me about the colorful Judge Roy Bean. It’s hard to separate fact from fiction when it comes to Judge Bean. But there is no question that he was a fascinating character in Texas history. He owned a single law-book but rarely referred to it. Instead, he dispensed his own brand of justice. Once, Judge Bean fined a corpse, ironically for the exact amount that the deceased man had in his pocket when he had died! 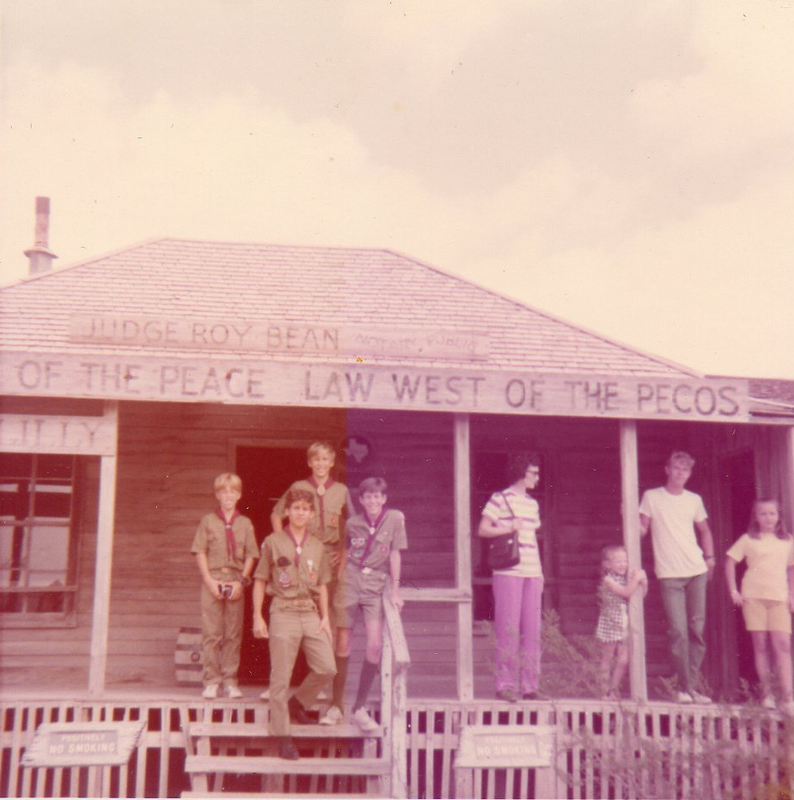 But, in the lawless and desolate Chihuahuan Desert of West Texas, Judge Bean was the man for the job. So, when my Boy Scout Troop leader announced that we would be traveling to the Davis Mountains and would visit the Jersey Lilly along the way, I was excited to have the opportunity to see a place I had heard so much about. Since that first visit to Langtry with Boy Scout Troop 68, I have stopped by the Jersey Lilly on a couple of other occasions. Langtry and the Jersey Lilly reek of the gritty old west. I love walking around the place, perhaps because it makes me nostalgic and reminds me of my grandfather, Judge Gonzalez, and the old painting hanging on the wall in his office. 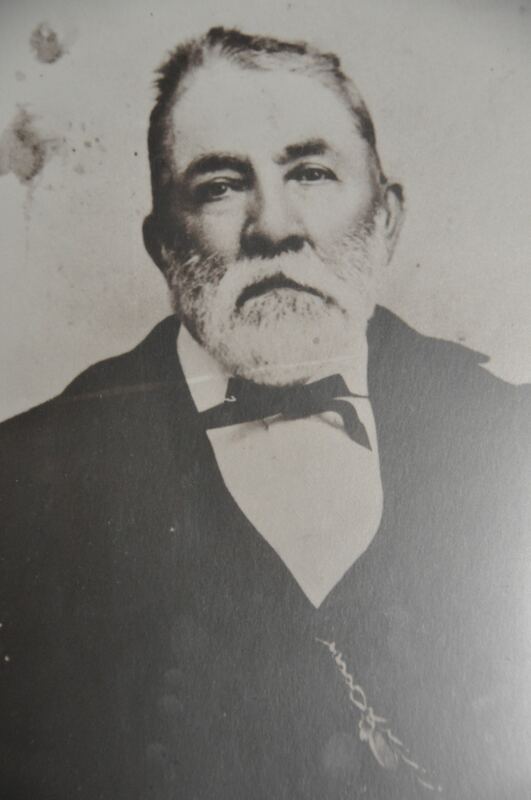 I am fortunate that my grandfather stirred my imagination and nurtured my curiosity by telling me stories about colorful Texas characters like Judge Roy Bean. Texas has no shortage of interesting people and places that can connect us to the rich history of the Lone Star State. If you have never visited Langtry, I encourage you to add it to your list of out-of-the-way places worthy of a visit. You’ll enjoy walking back in time to the days when Judge Roy Bean dispensed his sometimes quirky brand of justice in the vast Chihuahuan Desert west of the Pecos. This entry was posted in People, Small Towns and tagged Judge Roy Bean, Langtry, Law West of the Pecos. Bookmark the permalink.